Sun’s printing service is the cornerstone of our business. Sun Solutions has been delivering professional quality, commercial printing since our inception in 1983. Our printing service starts with our in-house prepress team, whom assists our clients with everything from design and layout to optimizing your project files to deliver the best results in both quality and color accuracy. Throughout our multiple facilities, we invest in only the best equipment in the print industry for our offset press, digital press, and web press. Sun’s Heidelberg offset press is optimized to be fast and accurate, allowing us to deliver professionally quality print in a more efficient time frame. Our HP Indigo digital printing service, an alternative to offset printing, is ideal for low-quantity print runs or special print needs, such as variable data while maintaining a professional print quality look. With our variable data capability, you can change the messaging on each printed piece to personalize your printing to your target audience. Our web press delivers the color and image quality similar to an the quality of an offset press. 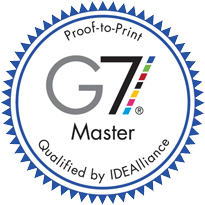 Sun Solutions takes pride in being G7 Certified, which has facilitated a comprehensive solution to color management throughout all facilities and printing devices. All of printing equipment work from the same color quality standards to achieve consistent matched color throughout all of our facilities. The Forest Stewardship Council® mission is to promote environmentally sound, socially beneficial and economically prosperous management of the world’s forests. Sun Solutions is a FSC certified print provider to promote environmentally sound, socially beneficial and economically prosperous management of the world’s forests. Call our team at 803-791-1786 or email info@SunSolutionsUSA.com. Copyright © 2017 Sun Inc. All rights reserved.